Today's business applications are not flexible enough to keep pace with the businesses they support. Adding collaborative Web 2.0 technologies to business applications is a way to address these challenges both for business users and IT. 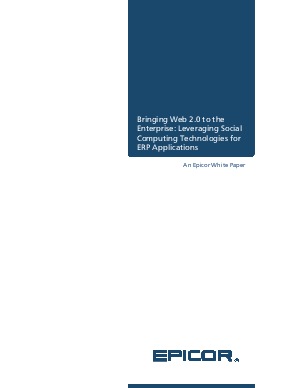 This white paper details how Web 2.0 technologies support business strategies by improving efficiency, productivity, and collaboration.